Ohaus Trooper's design is optimized for economical weighing applications. A concave stainless steel weighing pan and ABS housing provide protection for light industrial conditions. 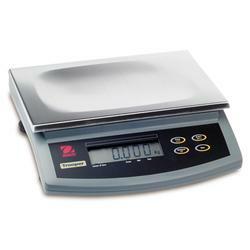 A simple menu operation and easy to read backlit LCD display make the Trooper an affordable weighing solution.